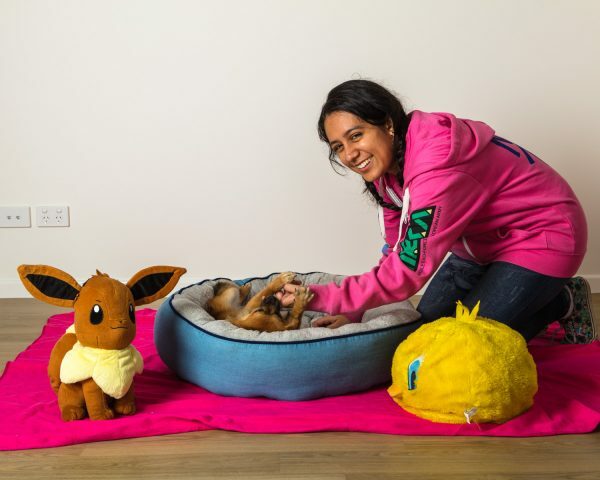 Things are looking up for Yazmine, living in a new apartment with her beloved little dog, she is confident about her independence for the first time. ‘BYS supports young women … who have disability [or not], or have mental health problems or are struggling to start a life for themselves. BYS was the first service I ever asked for assistance. I needed help. I needed for my voice to be heard. I went to BYS and they listened to me and gave me that help that I needed. The first person I met was this lady called Sonya. She put me with Dee. I was really nervous, extremely nervous although they were really friendly, very welcoming. They started to help me to move out … the best way I can describe it is they helped me reach my dream goals. They support me and believe in me. When … there’s someone else who believes that you can actually do it … and when they help you to believe you can do it … they help you reach that goal. Moving out independently … I didn’t think I would ever make it … once I finally did move out, it was surreal. Living independently means surviving on your own, doing things on your own, not letting other people do it for you … your grocery shopping; you take transport by yourself; you do a lot of things, pay your rent. I actually believe in myself and I know I can do it … my aim is to have a part-time job. There’s more to life than just doing a job … being happy, being at peace, doing the things that you love to do.